Hypnosis is a technique used to reach the subconscious mind to alleviate stress, fears, addictions to food, smoking etc. It is a type of reprogramming of our perception of circumstances or people in the past or in the present that caused emotional/mental trauma that we have not forgiven or released. In a typical session, visualization or guided imagery is used because when dealing with our subconscious mind imagination is more powerful than knowledge. Although some people have a fear of hypnosis, there is nothing to fear since for many years now the medical community has even encouraged clients to receive hypnosis as therapy for pain management. There is even a practice now known as hypno-birthing to reduce the use of the epidural given during labor. Regression Therapy could also be known as a reflection of the past. Just as we see an image in the mirror; we are seeing an overall pattern in exploring the root causes for certain behaviors. There is always a cause for unwanted behavior and often times it is hidden from the conscious mind. 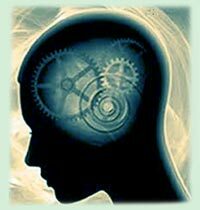 Regression therapy reveals deep memories, which are ready to be processed at a conscious level. The recalling of past events along with insights from a current perspective can have a profound impact on the desire to make a change in your life. The true value of these past memories is an understanding of the “how” and the “what” was learned in the lessons from the past. Regression therapy is not about revealing who you were, Where and When you lived. Your outward appearance is of minor importance. Most often people live everyday normal lives and report mostly on the emotions tied to these experiences. The important key to understanding these experiences is to focus on what did you gain or lose in this past life. What did you learn or experience in that life that you could bring back with you to help you in this life? Locally, Dr. Brian Weiss made history when he wrote the book “Many lives and Many Masters.” He describes the case history of a specific client who came to him to work on phobias but in the therapeutic sessions several past lives revealed themselves in the client’s healing process. Many of his colleagues were skeptical as was he initially yet, by “reliving” some painful past memories the client was “healed” of her phobias in a shorter time than traditional talk therapy. Yet, some people are still skeptical of the concept of past lives and the influence it has on an individual’s current life. Again, whether we feel that the events were real or imagined in our subconscious mind is not important. What is important is the emotion that experience or event stirs up inside of us that is revealing the need for some aspect to be healed. Trying to prove past lives is like trying to prove the existence of love. Most people agree love is real but yet they cannot explain the feeling of love for another person or identify which of the five senses can be used as evidence that love exists. You can receive or share it without having to prove that it exists. Past life memory, like love, is an experience to be enjoyed for the growth and spiritual development. Understanding the past builds wisdom. One can acquire more knowledge and wisdom by being challenged by experiences than through being pampered. Wisdom builds trust and trust conquers fear. There are only two underlying emotions for everything in our lives: Love and Fear. We can overcome all of our fears when we understand and love ourselves more. You can pay for your sessions online through Paypal. Visit the online store for more information by clicking here. 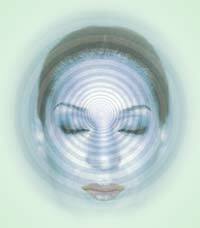 Yes, you often go through states of light trance everyday similar to hypnosis. For instance when you are watching television often times you become so engrossed you are often unaware of if someone is speaking to you or the telephone ringing. Or you drive along in traffic everyday to and from work often times wrapped up in your thoughts that you don’t even notice how you arrived home. All the judgements made when you are driving in relation to speed, time and distance to other drivers all seem so automatic. Why? Because you were in a light trance state. This is why it such a natural process you do it all the time without thinking about it. Will I be able to come out of hypnosis? Yes, you are not unconscious. Yet, you will feel completely relaxed and you will be aware of everything going on during the session. You will recall what transpired afterward with no adverse effects. Can he or she say or make me do things I wouldn’t ordinarily do or say? This is the greatest fear everyone has “losing control”. No one can control you under hypnosis. You have the power to reject any suggestion or visualization given by the therapist. You have the power to come out of the trance or altered state at any time. Remember the therapist is acting only as a guide to help you relax and enter these altered states of mind to be able to overcome your fears. You are participating to the extent that you accept his or her guidance to help you. There should be a level of trust already established between the therapist and the client to prevent these fears from arising. The goal is to assist the client in learning how to do “self hypnosis” as part of therapeutic process to insure maximum effectiveness in between sessions with the therapist.